There's an added bonus at this time of year if you go visiting gardens. The summer visitors stay away so quite often you have the entire garden to yourself – save the gardeners busy toiling away. There may be an air of faded grandeur come September but any good garden still has plenty to offer. At this time of year there is one thing I look for in a garden. 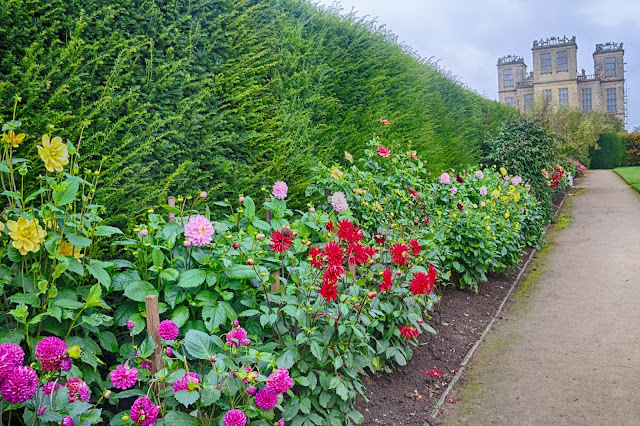 I can't deny it but the reason I headed to Hardwick in particular was because of their display of dahlias. It never fails to impress year after year. It's all I can to not to pick a bunch for myself but I know I must leave the display for others to enjoy! There are so many beautiful dahlias that I couldn't pick out a favourite but here's a selection of some that caught my eye. One of the things I love about dahlias is how big and bold the blooms are. You certainly get your money's worth. There's also so many varieties and shapes to keep interest along a whole border. 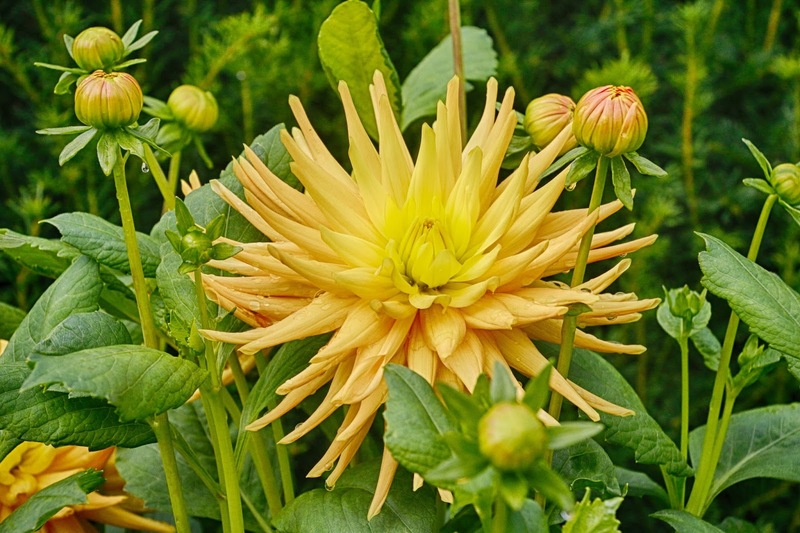 Dahlia Irish Glow pompon – I love these pompon dahlias. They are almost perfectly spherical and look at if they are really paper decorations ready to be hung up. 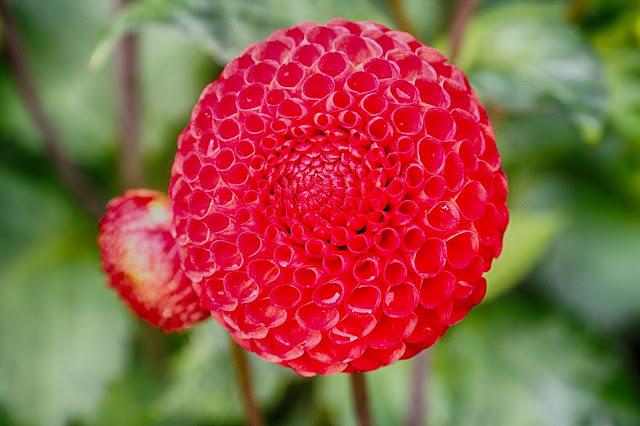 Dahlia Clair de Lune collerette – A completely different shape to the pompon varieties with a single row of large petals surrounding a ring of shorter petals. Unlike the pompon dahlias they also have a central ball with is a favourite for bees looking for some autumn pollen. 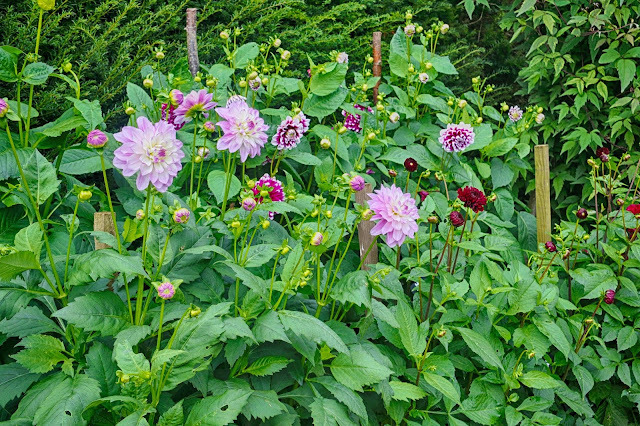 Dahlia Christmas Carol – Another collerette variety but with a two tone colour scheme. I love the name of this one and its red and white colour scheme and I'm tempted to print some of these off for Christmas cards this year. 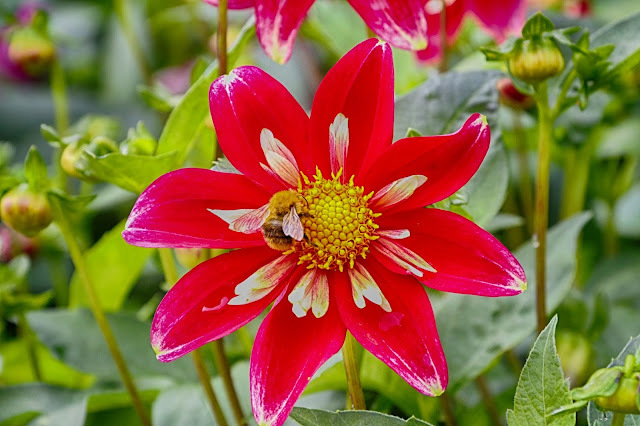 Dahlia Wotton Impact medium semi cactus – Some of biggest dahlia flowers are those of the cactus varieties. Wotton Impact has pale orange spiky petals going down into a cream centre. 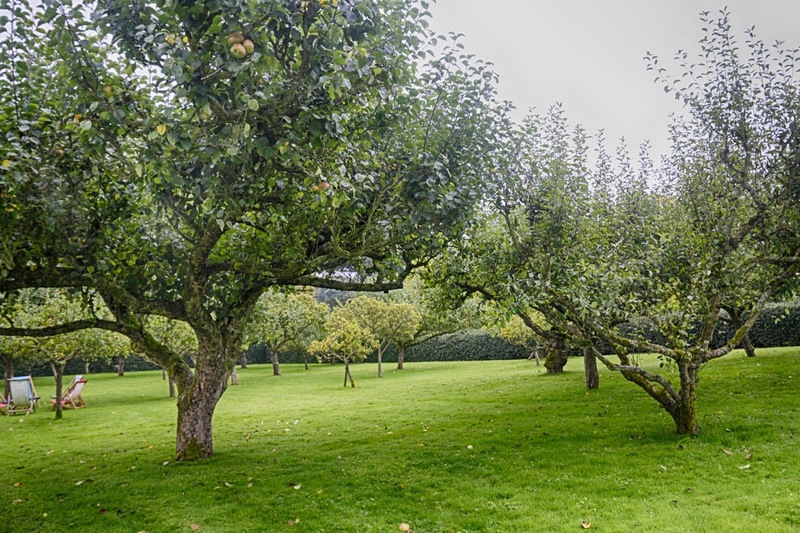 Since 1970 two-thirds of Britain's orchards have disappeared. Of course the National Trust is keen to preserve what they have. The fruit orchards are coming to their peak at the moment with pears, damsons and these Bramley's Seedlings. 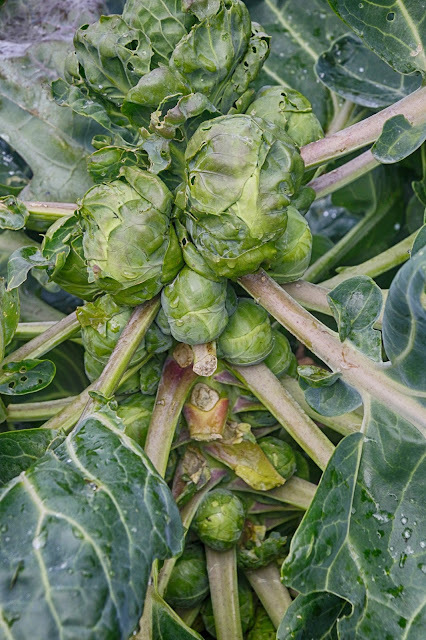 The vegetable garden is a looking a little sparse at the moment but that's understandable at this time of year. I was impressed by the size of these Brussels sprouts – they should take some cooking come Christmas Day! 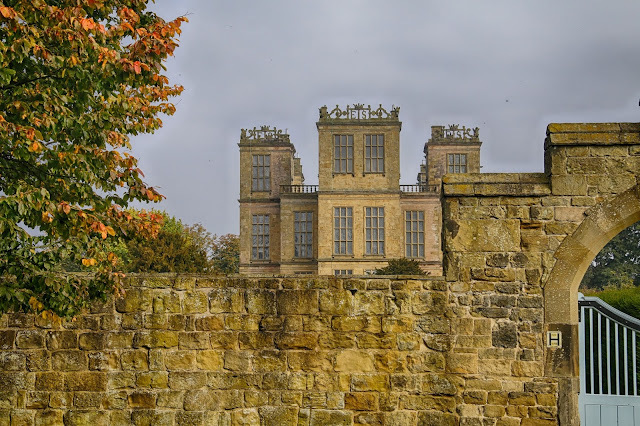 Hopefully I'll be back at Hardwick before then; their Christmas display in the house is not to be missed.